ON’s new Gold Standard Pre-Workout™ unleashes amplified energy, focus, and supports enhanced endurance to help you reach the pinnacle of your game, crush your next set, get that last rep, and achieve some true gains. * Whatever your goals, accomplish them all with the pre-workout from the most trusted brand in sports nutrition. Earn up to 1,748 Points. 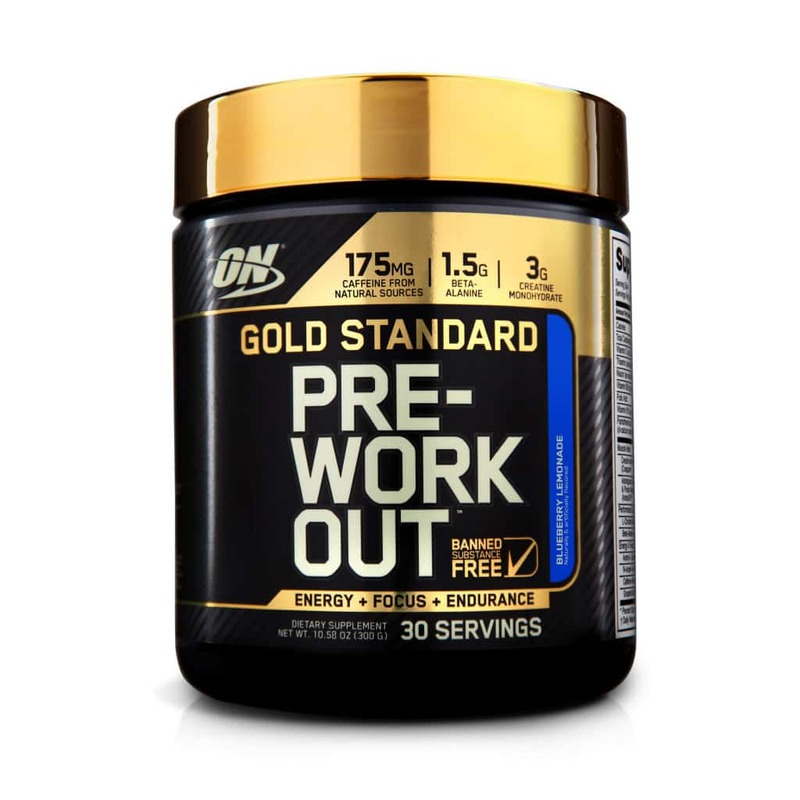 If you are new to pre-workouts, the Optimum Nutrition Gold Standard Pre Workout is one of the best to start with. Not only do you know ON uses premium ingredients but the flavours are delicious. The challenge you might have is when you start buying ON supplements, you may find it hard to stop. 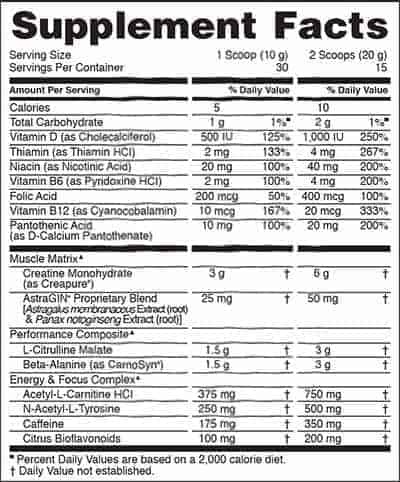 Plus you will notice you have 3g of creatine monohydrate in each scoop, so you are covered there too. This formula raises the bar by providing you with only what you need to achieve your True Strength. Our pre-workout is made with select banned-substance-free ingredients. This includes caffeine from only natural sources (tea and coffee bean) to help dial in intense energy, mental alertness, and sharp focus before you hit the gym. The Optimum Nutrition Gold Standard Pre Workout is also made with only premium ingredients. What ingredients are in our Pre-workout mix? As you can appreciate, a lot of research went into identifying the best ingredients to be included in our latest pre-workout mix. CarnoSyn® Beta-Alanine, which supports your intramuscular buffering system to help you train harder, longer. Acetyl-L-Carnitine HCI to round out this powerful formulation. Our goal when creating a powerful pre-workout is to ensure you get the boost leading up to your workout and can power through your workouts with ease. But you also don’t need a pre-workout that leaves you in a pool of sweat. This is where so many pre-workouts fall short. Our pre-workout supplement allows you to get the pump you need. You get the focus you want to nail every workout you step into. Plus you get the stamina for your entire gym session. Our ingredients also assist in recovery so you can get right back to building muscle once you have torn them down. Optimum Nutrition has also raised the bar on flavours available. The Gold Standard Pre-Workout leaves all other pre-workouts behind on performance and taste. You take your workouts and performance seriously. Don’t settle for a second place product, get the legit pre-workout that’s as GOOD AS GOLD! Let’s take a look at what is inside this powerful pre-workout supplement. Time to upgrade your gym experience, get your pump on and go with a quality pre-workout supplement. 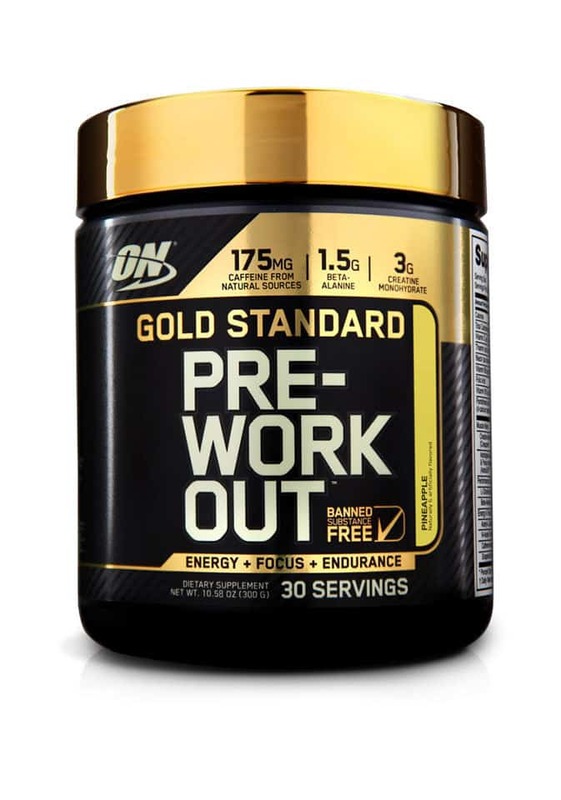 The Optimum Nutrition Gold Standard Pre Workout supplement is ideal if you want to hit a longer gym session and hit your own PBs in the gym.